Making an immediate impact in collegiate athletics as a freshman is one of the signs of impending success. One of the hardest parts of the whole journey is to remain healthy. Injury and the path to recovery is something that no athlete wants to experience. Coming back physically is half the battle, the affects an injury can have on your mentality can change everything. Kayla Johnson, Miami Southridge High School alumna and current University of Miami Hurricane began her debut season off just right. She placed seventh in her first ACC Indoor Championships in the 800m. Shortly after her outdoor campaign began Johnson ran the NCAA-leading time of 2:03.92 at the 2018 Florida Relays. 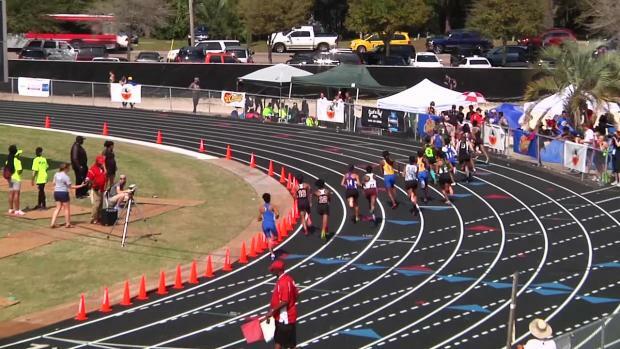 "I didn't know it was going to be that time, but I knew I was going to PR," she said. "Before going into the race, I felt good in my mind and body. I knew I just had to show it on the track. It was amazing, just looking at the time after I finished, I was just like 'wow, I really did that'. I knew that I could still do better, I just couldn't let it go to my head." 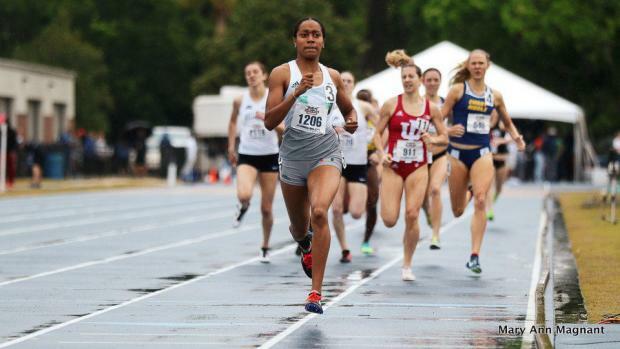 She had been named ACC Women's track performer of the week, twice (March 20 and April 3). One of Johnson's favorite highlights is when she broke her own school record with an ACC-leading time in the 800m (2:03.04) at the Hurricane Collegiate Invitational. 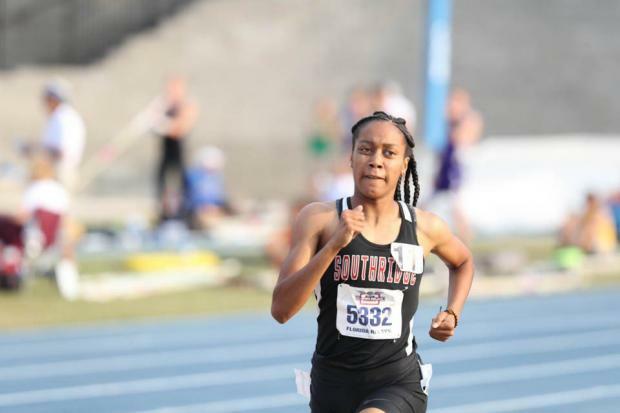 Everything was going perfect heading into outdoor championship season, until she found out she had a stress fracture in her right shin. For the majority of her outdoor season she'd been running with what her and her coaches believed were bad shin splints. 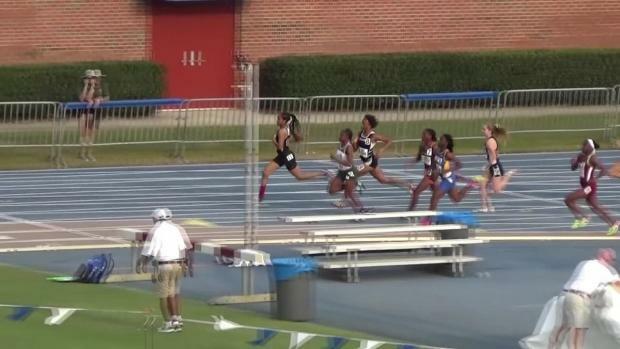 When Johnson found out she couldn't finish her outdoor season, everything became a blur. "I don't remember everything exactly because it was all so traumatic for me," Johnson said. "It was so hard knowing I could still run, because I did run with the stress fracture. So, knowing I was still able to run, but couldn't because it would get worse. The whole dilemma was just frustrating because I know I had more in the tank. But I knew that when it was over, I'd be back and running like nothing ever happened." Amy Deem, Director of Cross Country and Track and Field at Miami, found it hard to watch Johnson have to go through that pain. "It was very unfortunate for her, I mean yes it hurt the team, but she put so much into the season," Deem said. 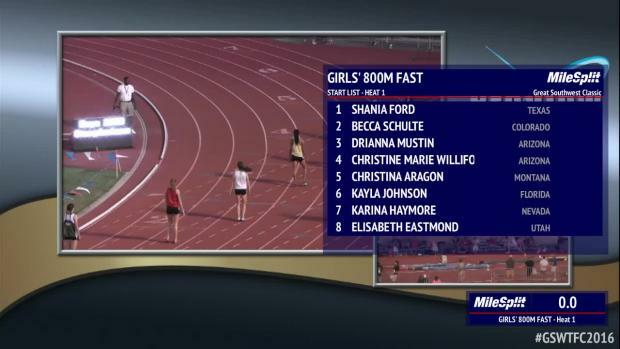 "She was running so well at that time. It was difficult to watch her go through it more than anything." Unable to compete at the 2018 ACC Outdoor Championships and the NCAA West Regionals, Johnson had to rely on her support system to keep her in good spirits. "It was hard, but I had a lot of people by my side, my mom especially," she said. "My brother, my coaches, there were just a lot of people telling me that 'you're okay', 'it's not your fault', 'you'll be back'. Praying and keeping my faith in God really helped a lot. Knowing that my people were beside me and that they still love me, helped me through it all." Resting was her best option for recovery, and she received a green light to start training again this past summer. The sophomore was hesitant about running again due to her fear of re-injury but when she decided to let go of that fear, she began her road to redemption. "There's just a point in time where you just forget it and just go," she said. 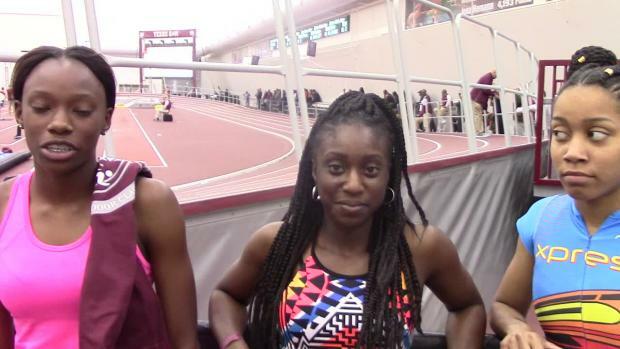 "You can't stay in one place and expect to succeed, at some time you just have to take the leap of faith and just go"
For an athlete that grew up in Miami, Deem recognized her limited indoor experience, however Johnson's showed serious growth this indoor season compared to her first. Last season she opened up with the third fastest 600m in UM history (1:31.78), while getting her 800m down to 2:06.54 at the Tiger Paw Invitational. This season, Johnson broke two school records, one in the 600m (1:28.31) and the other in the 800m (2:05.21) at the ACC Indoor Championships, placing second, qualifying for nationals. Heading towards the anniversary of her season-ending injury, Johnson tries not to hold on to the thought of re-injury before her races. "It's in the back of my mind, but I can't let that hold me down," she said. "You have to have a clear mind going into each race because if you think about that it will stress you out. I don't need any more stress, so I just have a positive mindset and hope for the best, prepare for the worst." 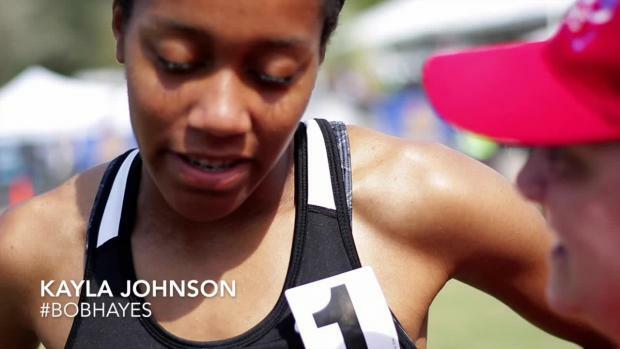 Looking back on her journey, Johnson's biggest takeaway is run each race like it's her last. "You never know when you'd get hurt, while also being appreciative when you are healthy and trying to run with passion… Of course, everyone wants a PR but I just want to have a good outdoor season." 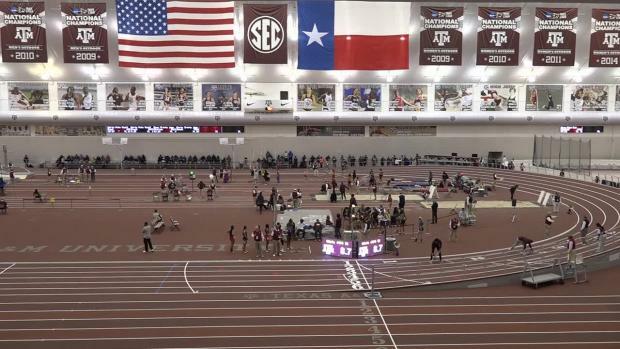 Now with outdoor officially underway, Johnson has another chance to make an impact and top her debut outdoor season. No matter the outcome, Deem sees Johnson's success beyond collegiate track and field. "I think she's very young in her event area and I just think she has tremendous room for growth," Deem said. "From the amount of training we actually do, where she's coming from and where she's going. I think she's going to be in the sport for a very long time, and for me in particular as her coach, I'm in no rush because she just extremely talented. We're not trying to throw everything at her at once because she is going to have a long career in the sport."